Yesterday, the Mirzapur team held a press conference in Mumbai which witnessed the presence of the whole cast along with the creators and producers of the 'Mirzapur'. Amazon Prime's Vice President Tim Leslie was also present at the event. Tim said "We are investing in local contents from India and providing them to international audiences through our platform, we aim at motivating the local content and taking the best out of them"
Producer Ritesh Sidhwani said, "Everyone will love all the characters from Mirzapur and the characters will make a special place in the minds of viewers" He also revealed that season 2 of Mirzapur is in the making. Then the Mirzapur writer-director Karan Anshuman said, "It will be a unique content for the Indian audiences and we hope that they will love it"
The powerhouse cast of 'Mirzapur' joined the stage. 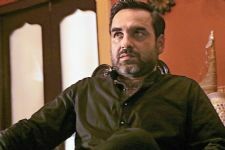 When Pankaj Tripathi who will be seen playing Kaleen Bhaiyya in Mirzapur was asked, Was it difficult to play a serious gangster in Mirzapur? 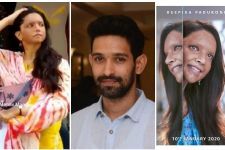 The actor answered, "It was difficult for me to not to be funny on screens while shooting this series"
Vikrant Massey was asked, "You seem to be selective when it comes to films, what was the reason which inspired you to do Mirzapur? The actor answered, "The whole cast and a good script inspired me to do Mirzapur"
Actress Shweta Tripathi and Shriya Pilgaonkar who are playing on screen sisters in the upcoming series said, " We are lucky to have more screen space in Mirzapur and having vital roles"
Shriya Pilgaonkar revealed that she has always been afraid of two-wheelers. She said, "I started from a cycle, then bike and finally a bullet". The actress will be seen riding a bullet in the upcoming series. Sharing a funny incident from the sets of Mirzapur, actor Divyendu Sharma said, "I shooted a 'speech giving' scene in a college and next a day a student came to me and said I will vote for you Munna and he also wrote a poem for me as he thought I was a real gangster". Amazon Prime's 'Mirzapur' will stream all the episodes of the 1st season tomorrow i.e on 16th November. 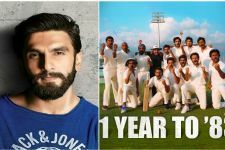 It has a powerhouse cast including Pankaj Tripathi, Ali Fazal, Vikrant Massey, Rasika Duggal, Shweta Tripathi, Shriya Pilgaonkar and Divyendu Sharma.